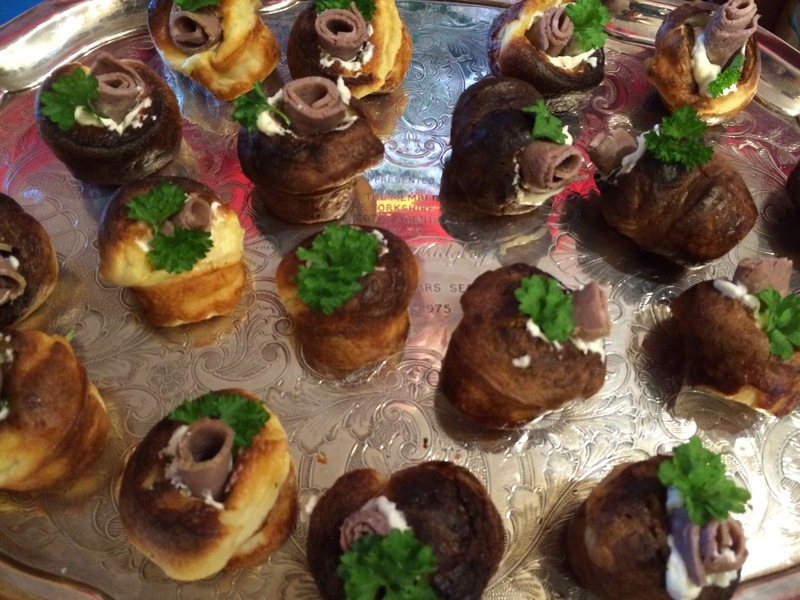 December is here and ’tis the season for cocktails and canapé at every turn! 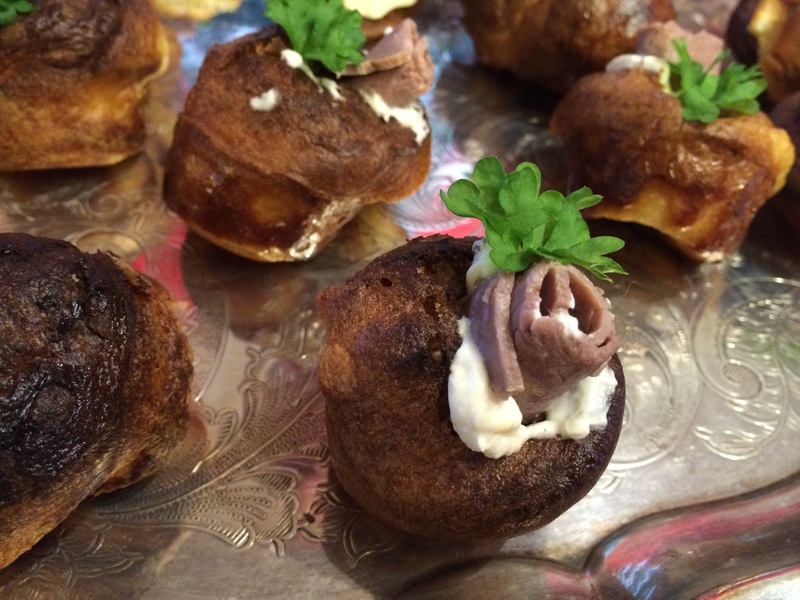 I thought I’d take the opportunity to share one of my favourite canapé from last year’s Christmas festivities, Mini Yorkshire Puddings! These are a fabulous little morsel that are quick and easy to prepare, you can even cook the Yorkshire puddings in advance and then reheat them but I do recommend using an oven to reheat rather than a microwave as you get a much better texture. You can even serve these at room temperature if there’s too much pressure on the oven space. Keep it simple and enjoy your party! Put the flour, salt, milk and egg into a tall jug. Leave to sit for around 20 minutes, half an hour, or longer if necessary. Place carefully in the oven and close the oven door. Leave to cook for 15-20 minutes until all poofed up and golden brown. DO NOT OPEN THE OVEN WHILE THEY ARE COOKING! Mix the creme fraiche, horse radish and mustard together in a bowl. Test to see if its got enough bite to it (or too much!) and alter to suit your tastes. Roll the roast beef up and slice into sections about 1″ long. 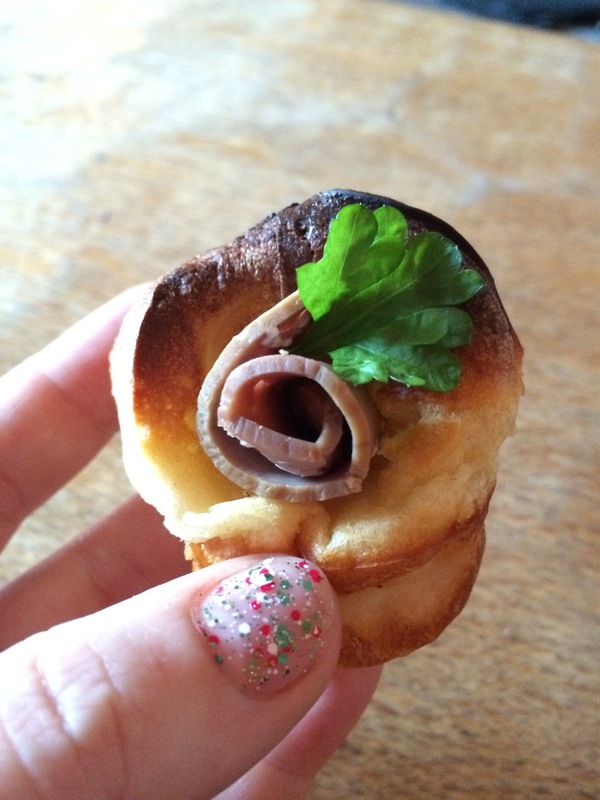 Carefully spoon a little of the horseradish mixture into the centre of each Yorkshire Pudding, insert a roll of beef and decorate with a sprig of parsley. Grab and bottle of bubbly and go mingle with your guests!